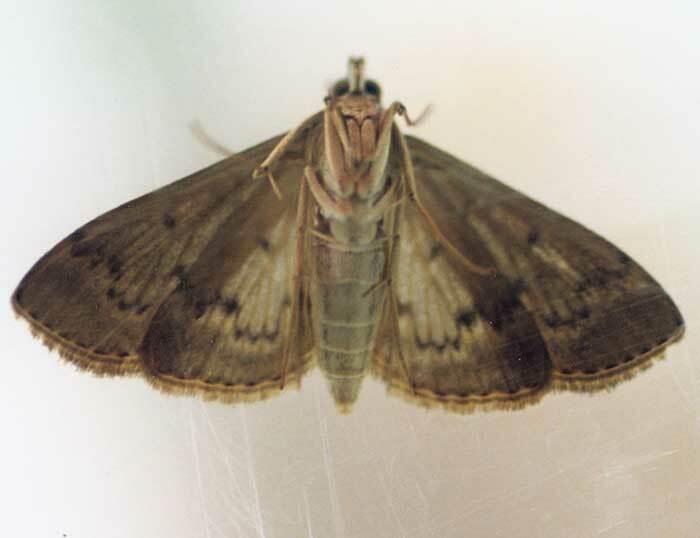 Evidence of webworm feeding can be seen when kikuyu is parted at the base; caterpillars, silk webbing and bright green droppings will be present. All life stages are killed at temperatures below 5oC. 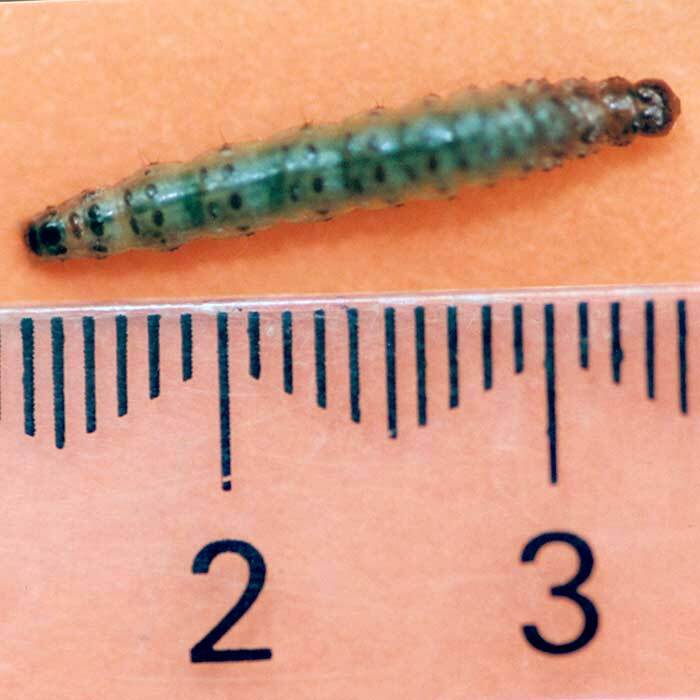 Large populations of early instar larvae can be present but damage not evident. 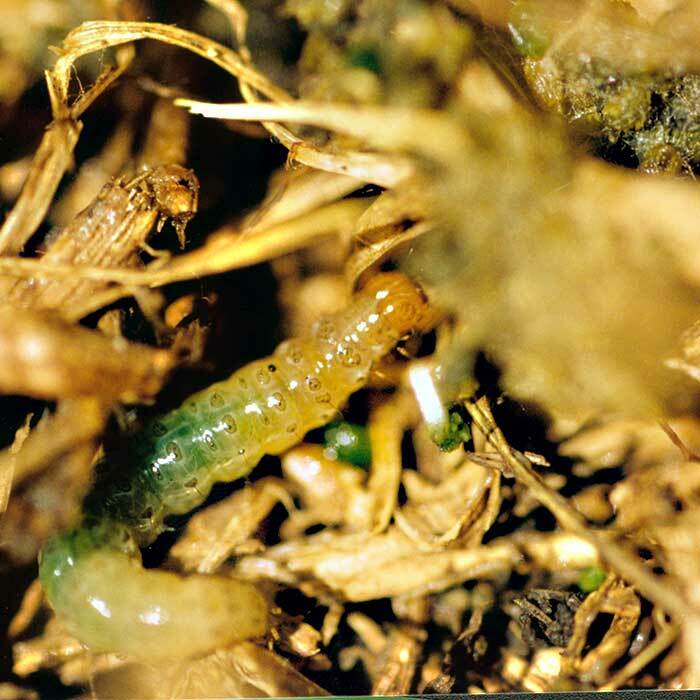 Mild frost-free winters allowing tropical grass webworm to extend its range and commence development earlier. These include the parasitic wasps Meteorus pulchricornis and Lissopimpla excelsa and a Tachinid fly Pales sp. Use insecticides registered for use in pastures against caterpillars. Publications Dymock JJ, Gibb AR, Suckling DM. 2009. Monitoring and predicting populations of the tropical grass webworm (Herpetogramma licarsisalis) a pest of kikuyu pasture in Northland. Proccedings of the New Zealand Grassland Association 71: 25-30.